I started running in middle school to be in a sport my friends were in. At the time bike racing and soccer were my sports of choice, but soccer wasn’t offered in middle school and I was a loner when it came to riding the bike. I remember being incredibly sore after my first run in 8th grade having to walk down the stairs backwards the next day. I really have no idea why I ended up going on that second run, but somehow I did and have never regretted it. I ran cross country and track all four years at La Crosse Central High School (1997 – 2001) in La Crosse, WI leading two cross country teams to state runner up trophies and winning individual conference and sectional titles. I then ran NCAA track and cross country at the University of Wisconsin – Eau Claire (2001 – 2005) where I earned 12 varsity letters, was an academic All-American, earned cross country most valuable runner, and provisionally qualified for NCAA Division III Nationals in the indoor mile run with a time of 4:16.29. Since leaving college I have been self-coached and continue to run competitively by regaining a strong aerobic base and preparing for racing in the spring and fall months. I have been part of local running store elite team sponsorship in the DC Metro Area through Potomac River Running and am currently a member of Iowa’s elite distance club team Run A Blaze Iowa. I continue to coach myself to new heights as 2011 and 2012 have been my most successful years of racing setting personal records in the 5km, 10k, 10 mile, half marathon, and marathon distances including a successful marathon “double” in October 2011 – Twin Cities Marathon 2:27:20 PR followed by a 5th place overall finish in the Marine Corps Marathon (2:29:42 – 5th largest marathon in the United States) only 28 days later. In 2013 I caught a bit of the “ultra bug”, ventured to the Grand Canyon (solo Rim-Rim-Rim run for charity), rand a few 50 mile races, and ended up at the Western States 100mi Endurance Run in 2014. Since then, I’ve enjoyed running anything from 5k to 100mi on trails and roads. I don’t like to be “labeled” a track guy, road guy, ultra guy, or anything other than a distance runner … I like to change things up and find my strengths & weaknesses in all different arenas of running – for fun and for sport. After graduating from the University of Wisconsin – Eau Claire I remained active with the track and cross country teams to become the distance assistant coach for one year. Since then I have completed USATF Coaching Certification Level 1 and helped develop running plans for many others at all levels of running – those that have never run before and others that wanted to improve their already well-established personal records. These experiences have taught me that running is not about a certain race – it is about the runner and the journey they choose to run to prepare for that race. Races can be very much the same season-to-season and year-to-year, but every person and every journey is different. My coaching philosophy is very simple – “FIRST THINGS FIRST, RUN FAST NEXT”. My work background has included engineering, teaching, and now owning our family business – Blue Ox Running – a local specialty running retail store in Eau Claire, Wisconsin with my wife Alicia. Alicia and I have been married since 2006 and have two sons (born 2010 & 2012) and a daughter (2014). Besides enjoying the outdoors and being active as family, I enjoy getting geeky with technology, eating pizza and cheering for all Wisconsin sports – go BADGERS, BREWERS, & PACKERS! 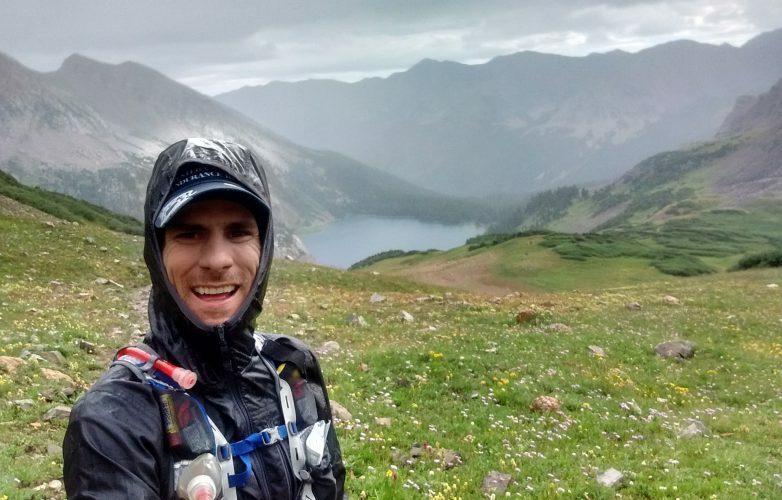 Follow me on Twitter (@adamcondit), Facebook (personal profile), and my personal website – adamcondit.com – to see what I’m up to outside of running. Husband, father of three, business owner (Blue Ox Running), USATF certified coach. I love being outdoors with family, Wisconsin sports, laughing out loud, and enjoy the rewarding painful journey of distance running. I use an notebooks & spreadsheets for planning but from time to time post to Strava & GarminConnect for analysis of certain workouts. #reallife #dadlife ... still tons of fun! When your car gets you home, but not in the garage ... #stuck in da driveway. 🤷 Leaving it. 13 ... when your best man joins the #anniversary weekend for a quick #ski!